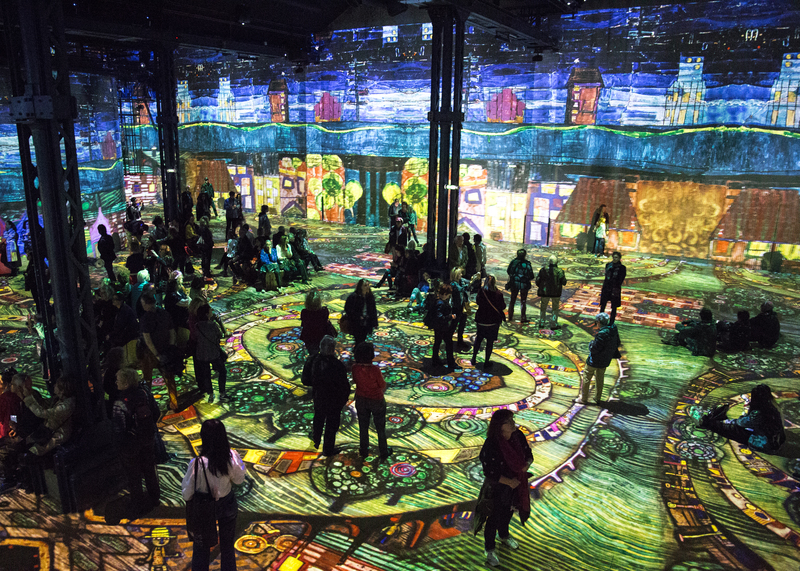 Following Lébord Provence's "Light Quarry", Atelier des Lumières opened its doors in Paris as the city's first digital arts center. 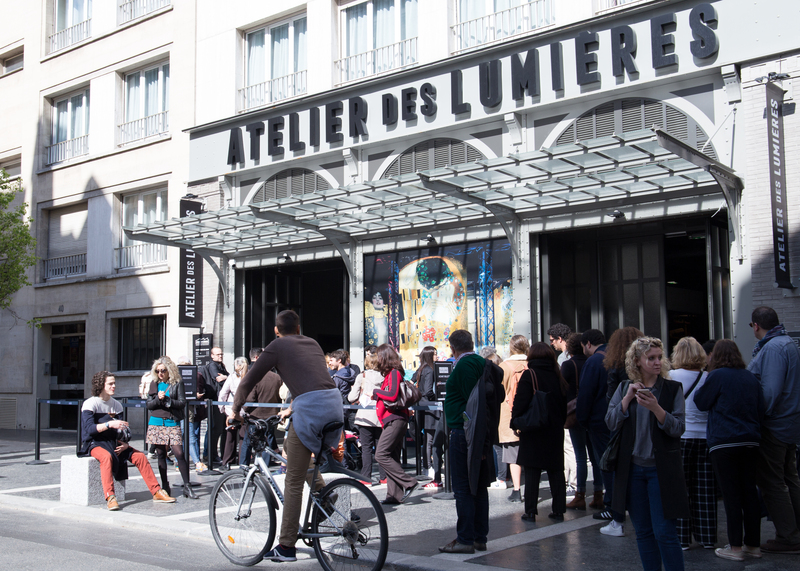 The opening night on April 4th attracted enthusiastic digital art fans to attend the inaugural exhibition. Tickets can be purchased online; we recommend doing so during the high season. 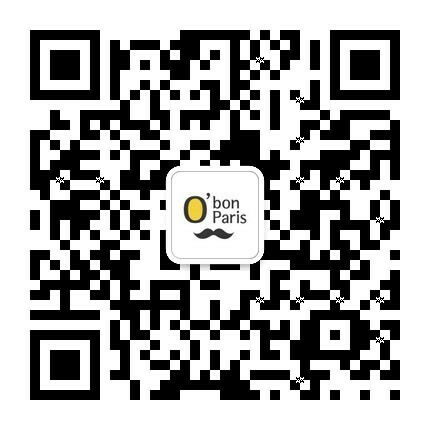 After the ticket check, you'll find yourself in front of the main entrance, resembling two large factory doors. 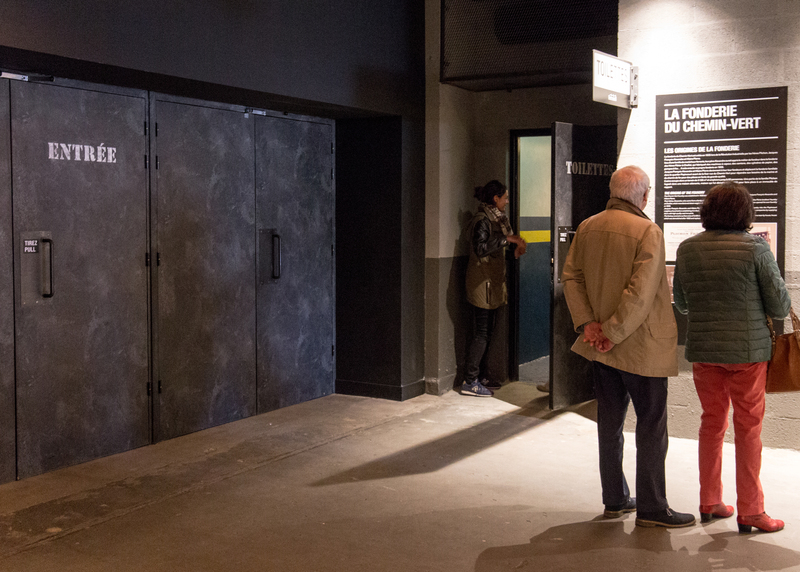 The doors are specially designed to block light from entering the projection room. Going through the entrance will lead you into a whole new realm. What is now the 3300 square meter exhibition space was formally an iron factory which was recently renovated. 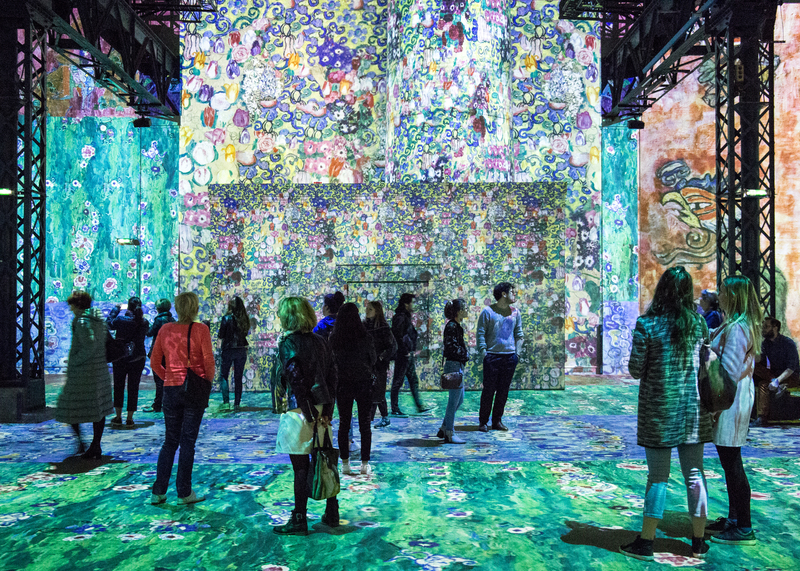 The immersive installations include works from Austrian artists Gustav Klimt and Hundertwasser as well as AI digital art installation by digital creation studio OUCHHH. 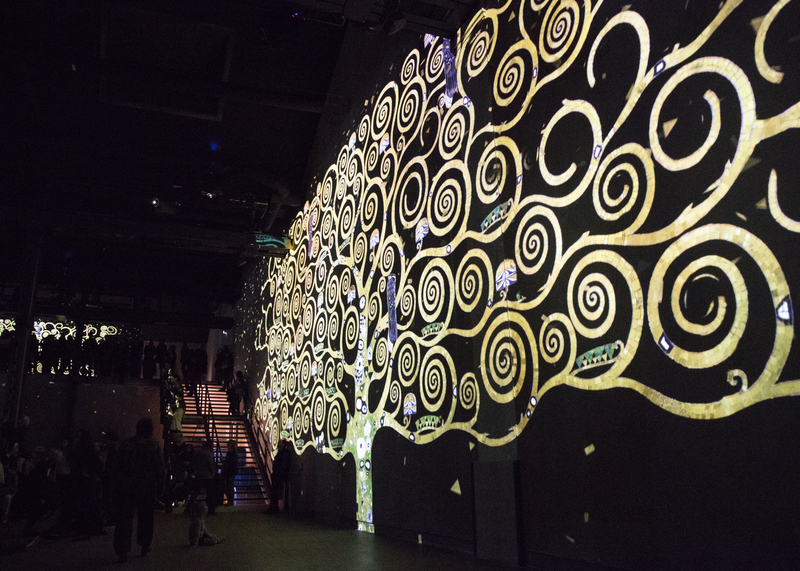 The digital projections cover the entire exhibition space, from the walls, columns to the floor we were standing on. 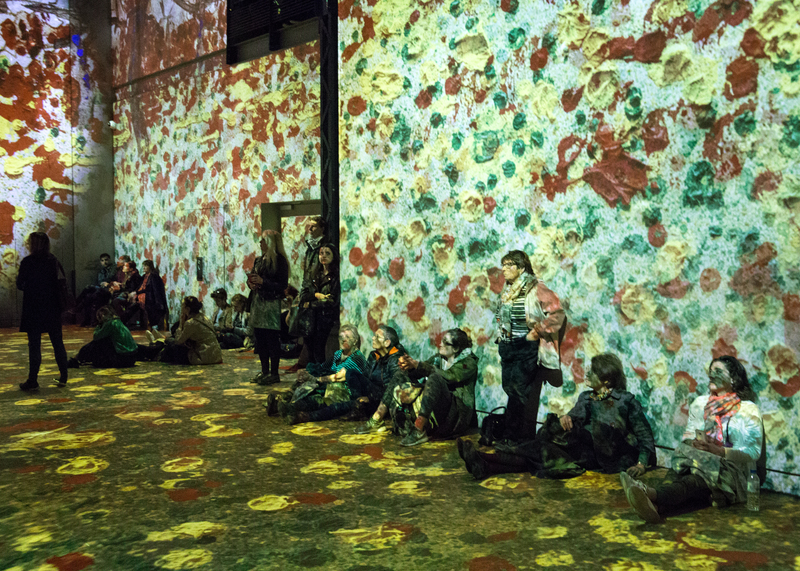 This immersive effect seemingly mends the art and audience, uniting them as one. 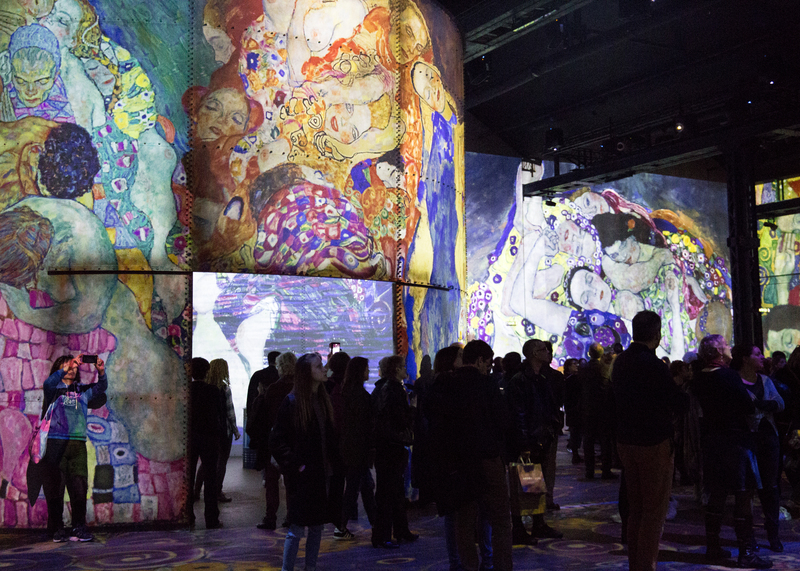 As the colorful images dance around like floating silhouettes, it's hard not to notice the delicate paint strokes from the original Klimt and Hundertwasser pieces beautifully displayed on the projections. 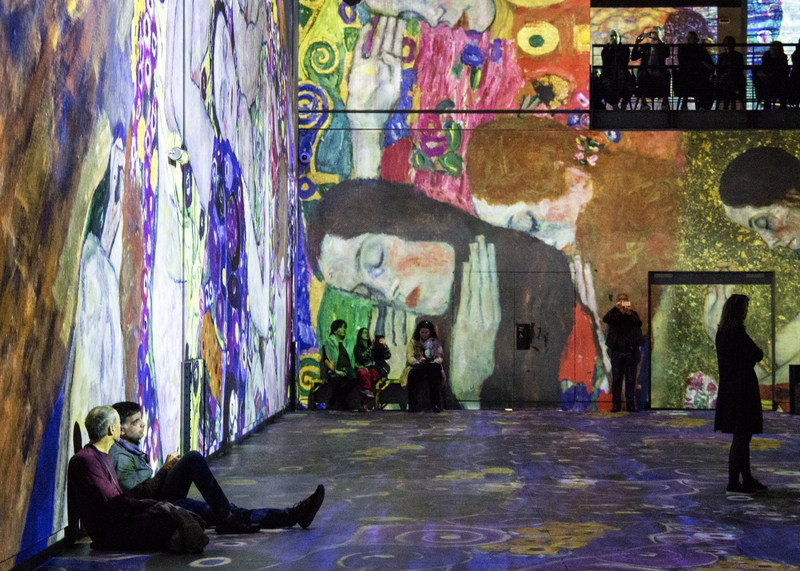 The Gustav Klimt immersive exhibition was created to mark the 100th anniversary of the painter's death. 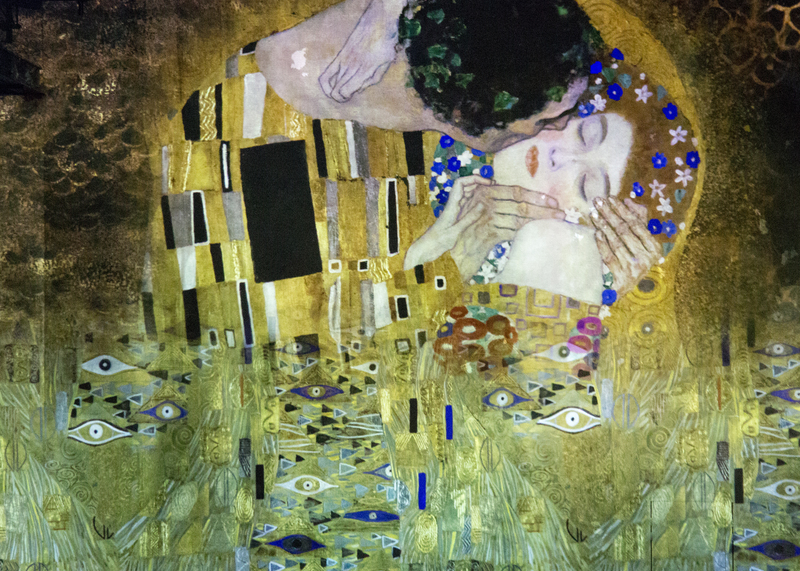 Klimt's creations were brought to life and transformed into moving images through digital animations, which were matched with synchronized music pieces. In the middle of the hall, a small room showed a 360-degree view of the projections. Despite the sheer number of tourists, the room still feels open and spacious. 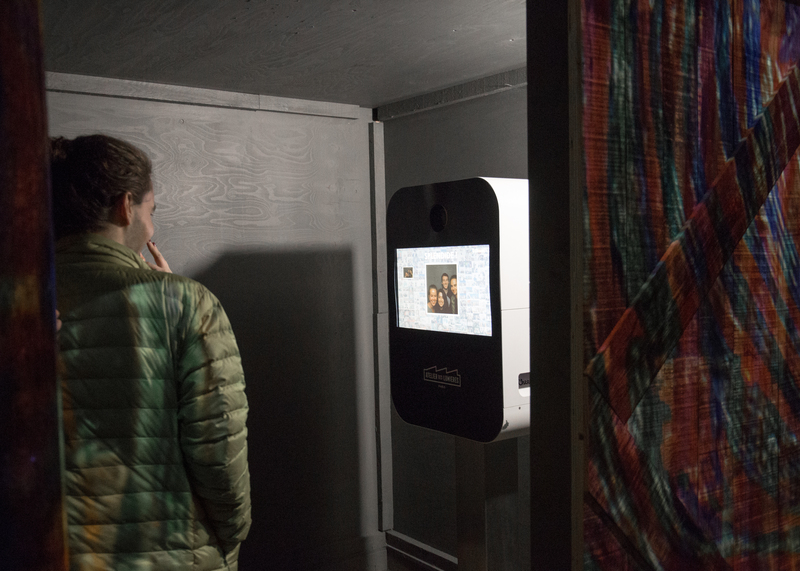 There is a 2-3 minute intermission between each video exhibition, which gives you time to take selfies at the photo booth. Not only is Hundertwasser a renowned Austrian painter, he is also an architect and environmentalist. From the early days of his childhood, he displayed exceptional talent in painting and is most famous for his intriguing color palette. 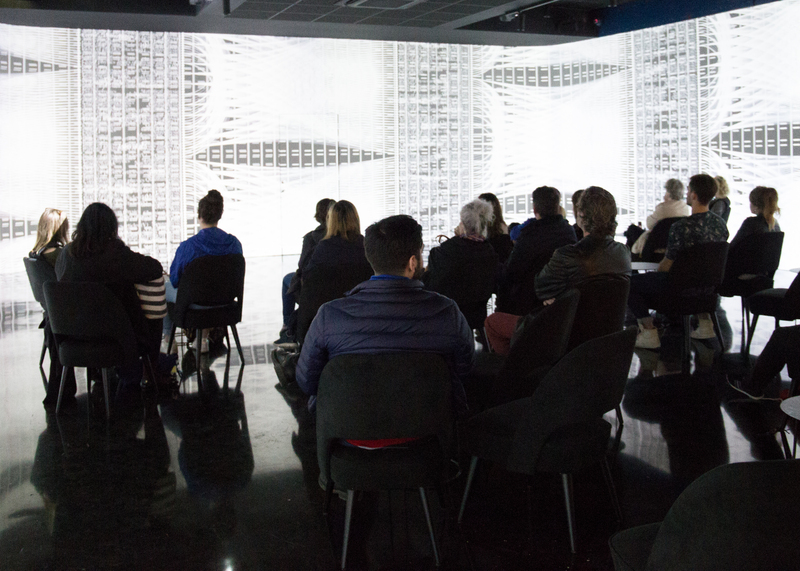 Tucked at the end of the exhibition hall is a hidden cafe and bar equipped with floor-to-ceiling projections which display exclusive parts of the video installations. The bar is styled in unique minimalist design. 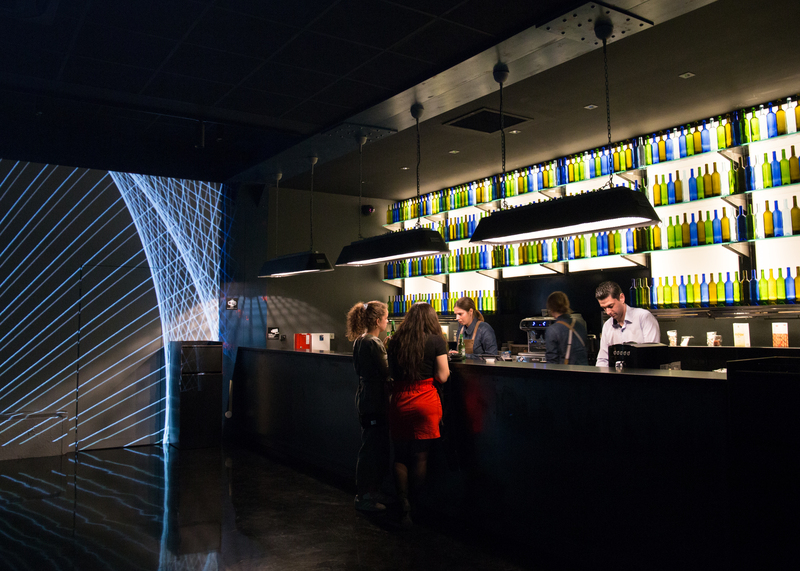 You can enjoy a drink or two while taking in the impressive digital art projections. There is a souvenir shop near the exit. 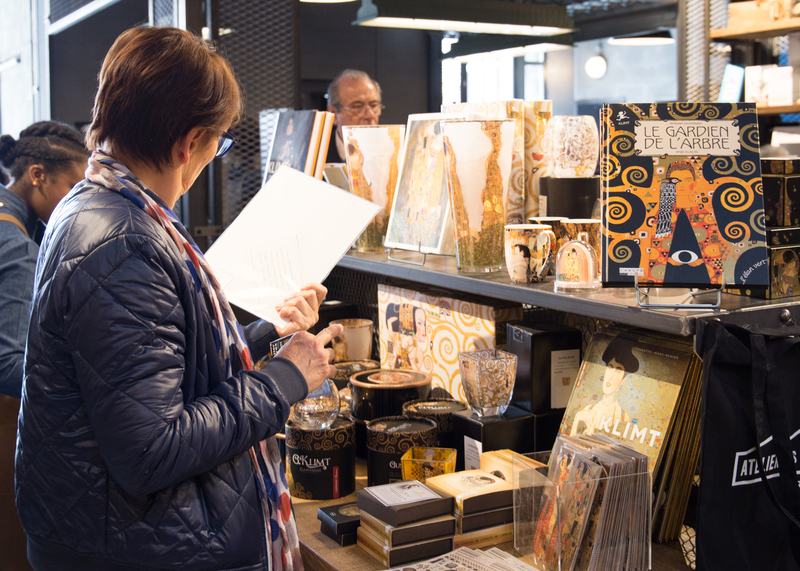 The museum is close to The Marais, which has a lot of nice cafes and restaurants; ideal for a coffee break or food-tasting after a long day of sightseeing.